Shop mom and Olukai expert, Denise is the one to come to if you’re looking for a fresh pair of slippahs’. 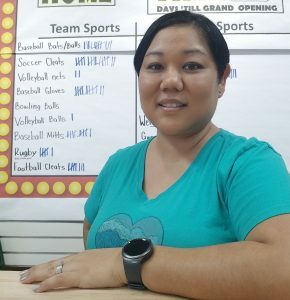 When not at work, Denise can be found spending time with her family. Join Denise Friday’s for her group walk from 4:30 to 5:30 pm on Ane Keahokalole walking path and catch the sunset over Kailua Kona. 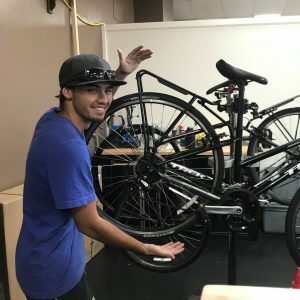 Well known as one of Hawaii’s top teen cyclist, Caleb is always on his bike. 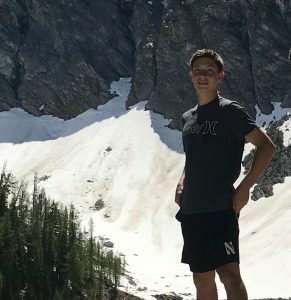 Caleb also enjoys frolicking in the ocean and exploring the mountains with friends. Caleb has two different colored eyes! 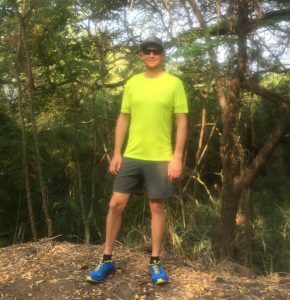 Commuter extraordinaire; when not at Kona Sports Center, you might find Brad riding bicycles, hiking, sailing or playing in the ocean. Brad enjoys empowering others to get outside and play and hopes you will bring your cat, dog or other pet by the shop to say hi! Master builder Randon built every wooden display in Kona Sports Center out of pallet wood. Hailing out of Hawaiian Ocean View, Randon commutes 3 hours a day to help people during their visits to the store. On his free time, Randon enjoys everything in the water.